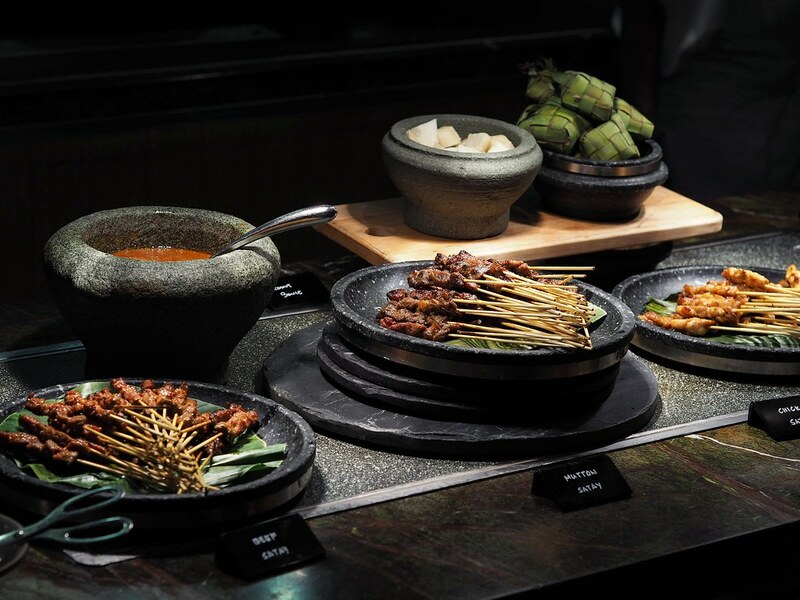 Following a revamp in the Sunday Champagne Brunch buffet, Edge at Pan Pacific Singapore presents a refreshed selection of signature premium delights. 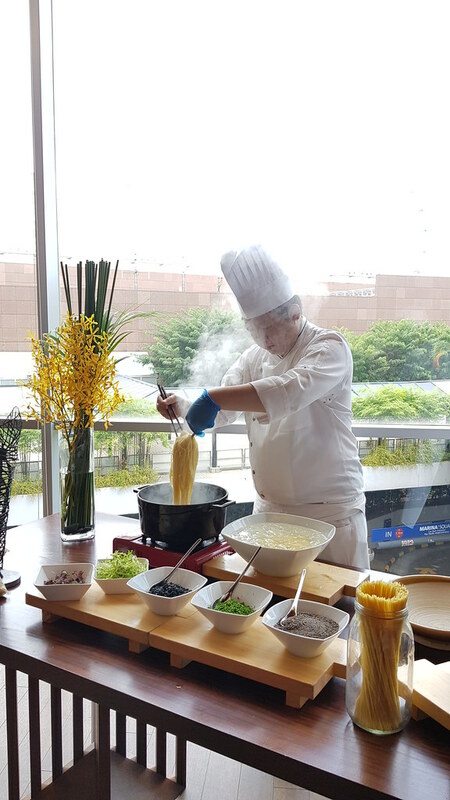 From 2 September 2018 onwards, diners get to indulge in a brand-new brunch experience with an extensive spread of local and international delicacies from seven interactive live food theatres housing sixteen stations which span around the huge dining hall. The astounding theatrical epicurean journey is complemented with unlimited Veuve Clicquot Champagne, Botanical Gin Cocktails and uplifting live music. To elevate diners’ brunch affair over at Edge, there are 2 additional new activities – cooking demo (2pm-230pm) where guests can look forward to learning how to cook a highlight from the Sunday Brunch spread including the Coriander Crab Cake with Curry Mayo and Sticky Date Puddng; and cocktail making demonstration (1pm-130pm) where the mixology will guide guests through on how to make their own cocktails at home. 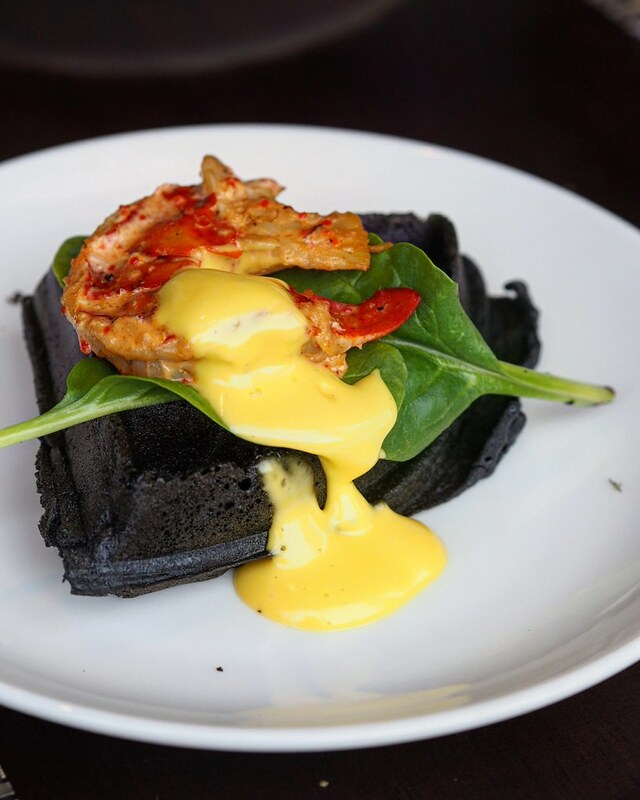 To kickstart the feast, I had the new western signature highlights featuring the Charcoal Waffles station - served with Sambal Boston Lobster, spinach leaf and hollandaise sauce. There is also the choice of Charcoal waffles with deep fried baby squids and egg atop. Slice through the egg and watch that runny golden egg yolk soak up the crispy fluffy waffles. 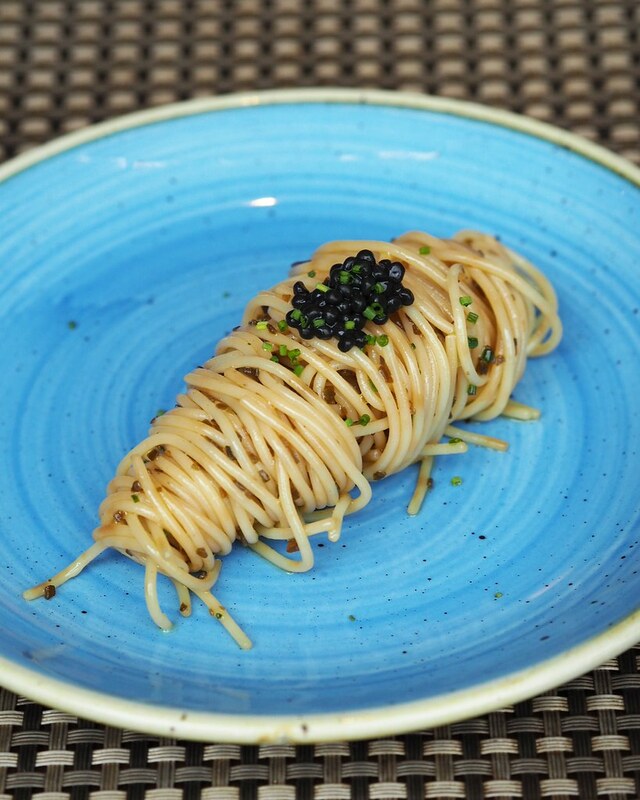 Next, I had the Cold Angel Hair Pasta with Caviar. Perfectly al dente and flavourful, I had more than one of those delicate single-serving portions. An interesting item on the menu - the Beetroot Barquette Avocado Tuna Melt features lusciously creamy tuna, avocado and cheese sandwiched in between pillowy fluffy beetroot flavoured bread. 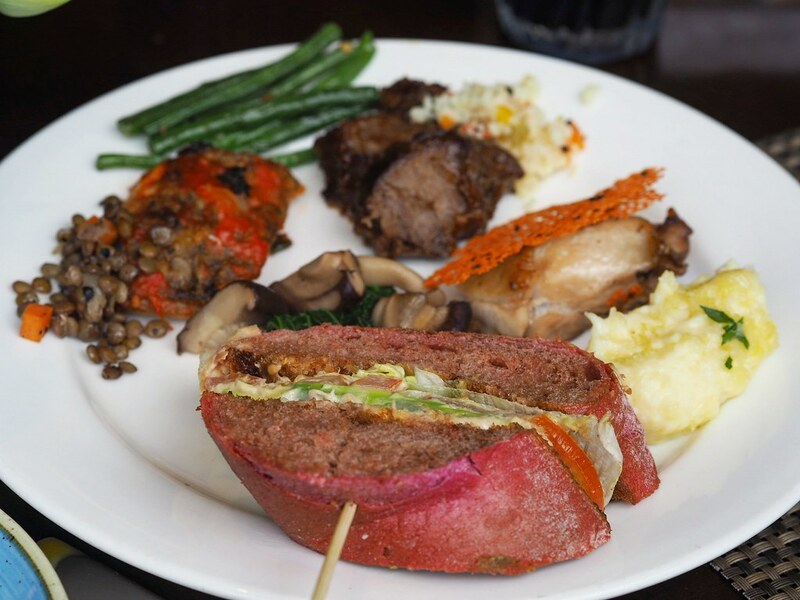 Although the beetroot taste might not be as distinct, the scrumptious fillings still render the dish palatable. 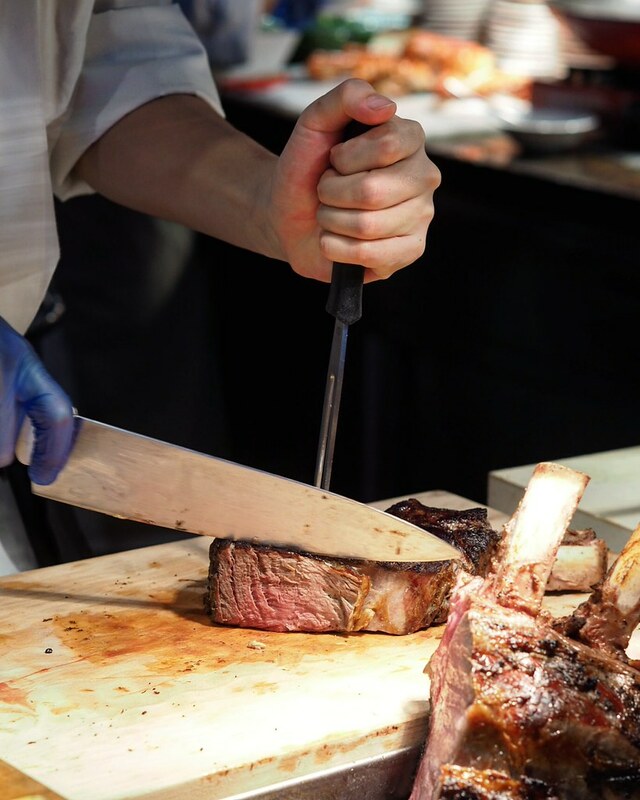 For the meat lovers, dive right into their irresistible cuts ranging from Frenchened Lamb Rack with Herb Crust, Roast Duck, Mustard Roast Beef Prime Ribs Bordelaise, as well as the Deep Fried Whole Spring Chicken with Herbs and Garlic. There is also the live noodle making station with a roast meat section just beside. 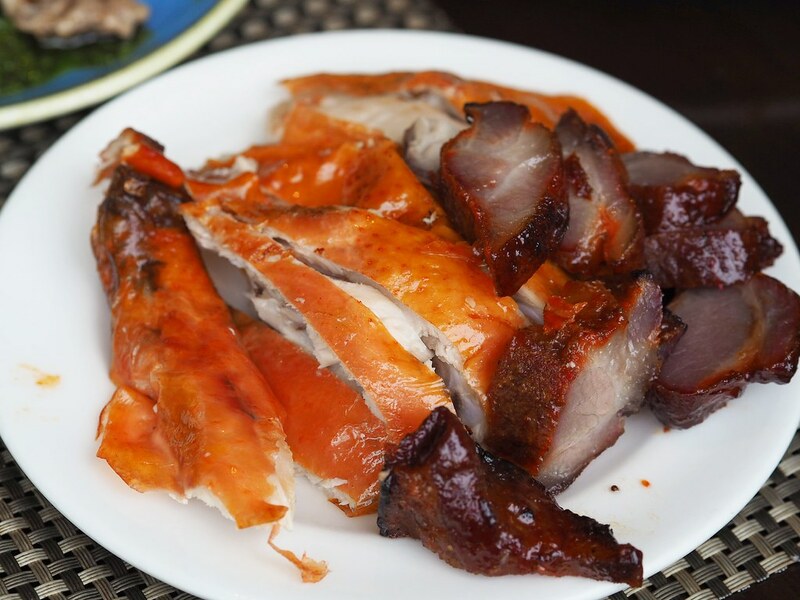 It includes favourites such as the sliced Roast Duck and Char Siew, which boasts a tender, melt-in-the-mouth texture. 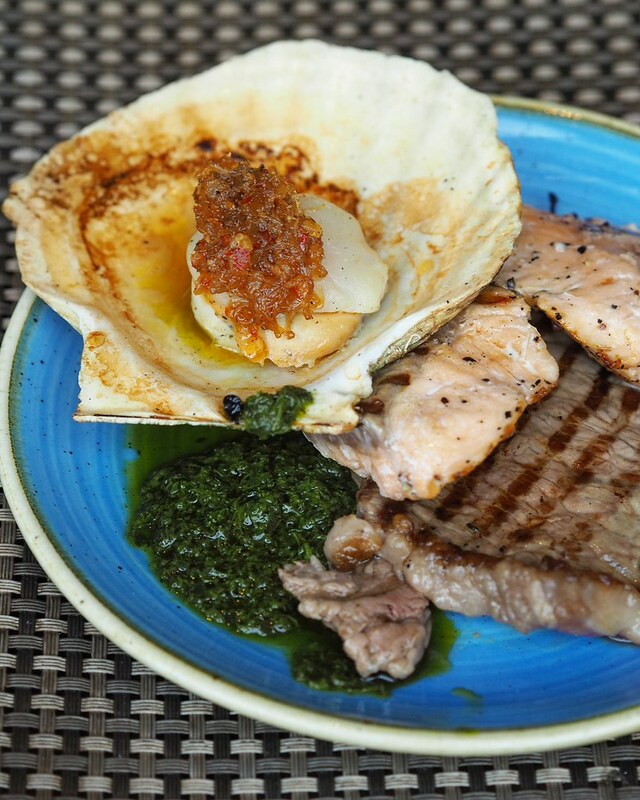 Don’t forget the meats/seafood section at the other side of the hall, where diners get to enjoy Wagyu Beef, Salmon and Seared Hokkaido Scallops prepared freshly on the spot when diners hand their number tags to the friendly station staff. 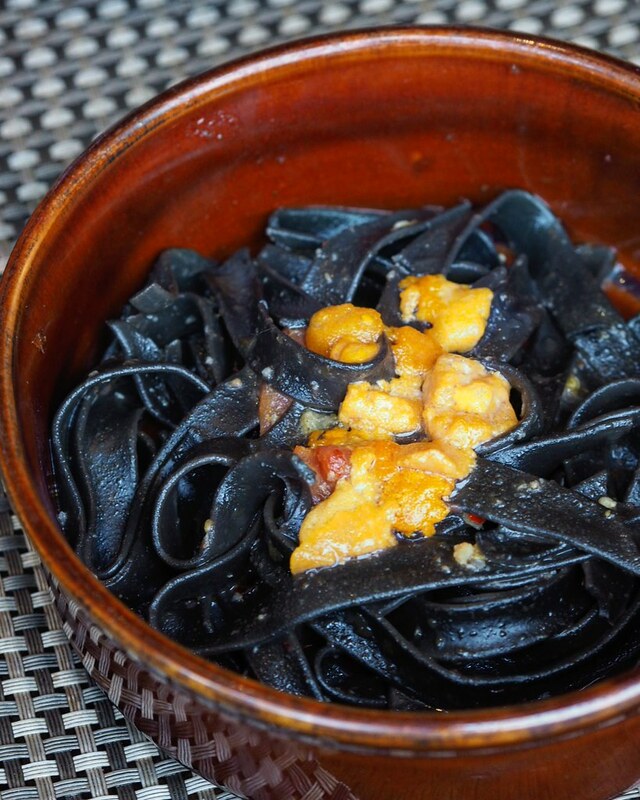 Surfing further down the buffet line got us to the pasta selection such as the Signature Mushroom Ravioli and Squid Ink Pasta with Uni. 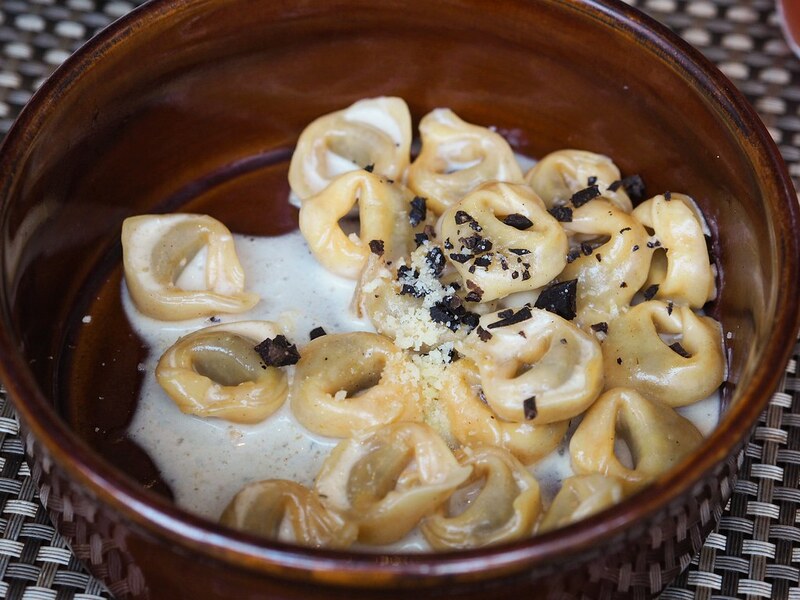 The ravioli boasts a tougher al dente texture with an aromatic mushroom fragrance, while the squid ink pasta complemented with fresh uni has a slight spice to it to add on a different taste dimension. 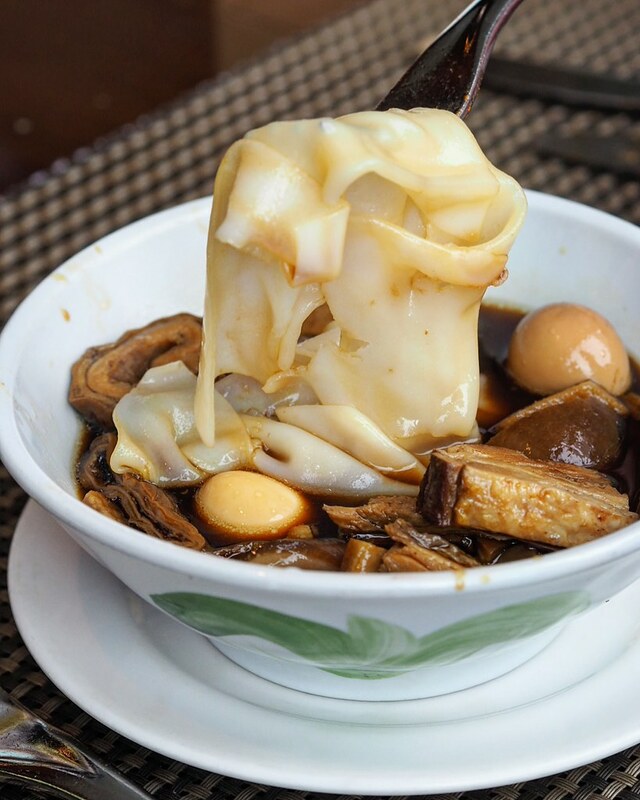 A presentation of new Asian highlights include the thai favourites of Seafood Pad Thai and Grilled Pork Belly Skewer, as well as the Penang delights – Kimberly Street Kway Chap, which was filled with generous ingredients in the bowl. 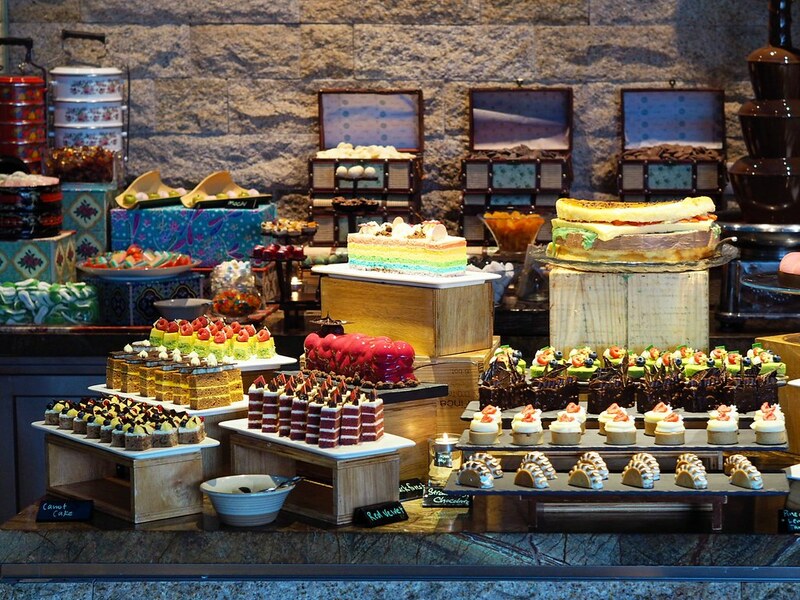 No buffet is complete without desserts. Here at Edge, it sets a promising exemplar of a dessert heaven with its magnificent display of sweet treats at Edge’s dessert theatre. 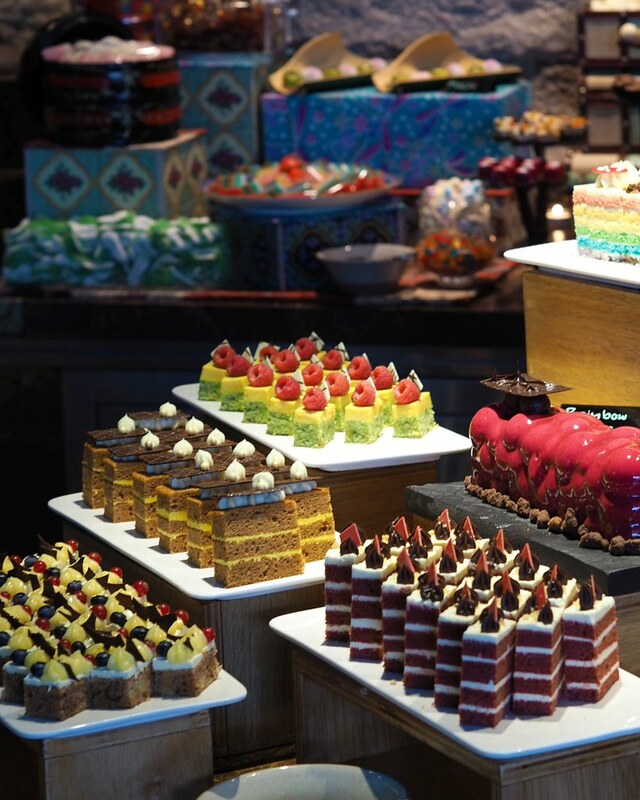 It includes a new selection of Jumbo desserts such as the Giant Chouc Puff, Giant Pastry Burger and Giant Apple Tart Tartin, as well a wide variety of mouth-watering cake flavours such as the Red Velvet, Mango Passionfruit, Blackforest, Rainbow Cake. 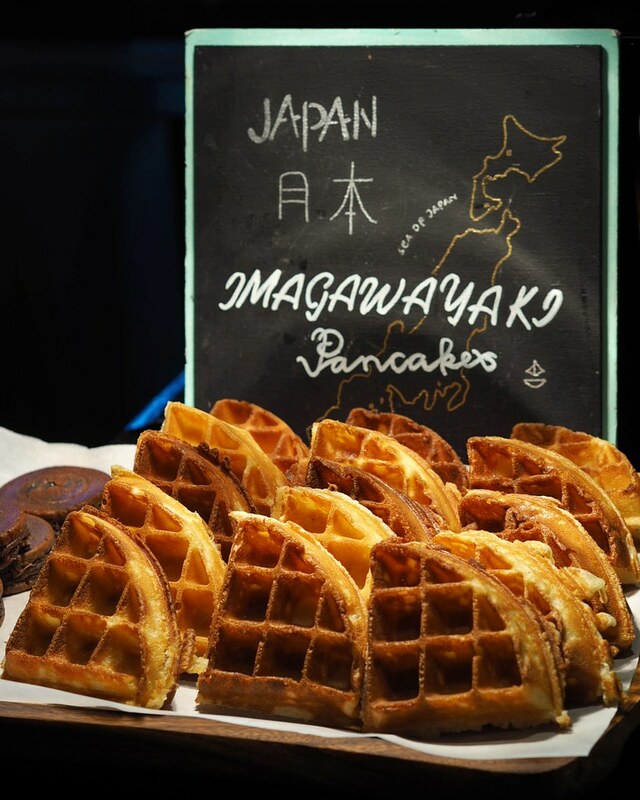 Not to be missed among their dazzling myraid of desserts is the Waffles. Boosting an extremely crispy exterior and fluffy buttery insides, the waffles is best paired with their ice cream selections. 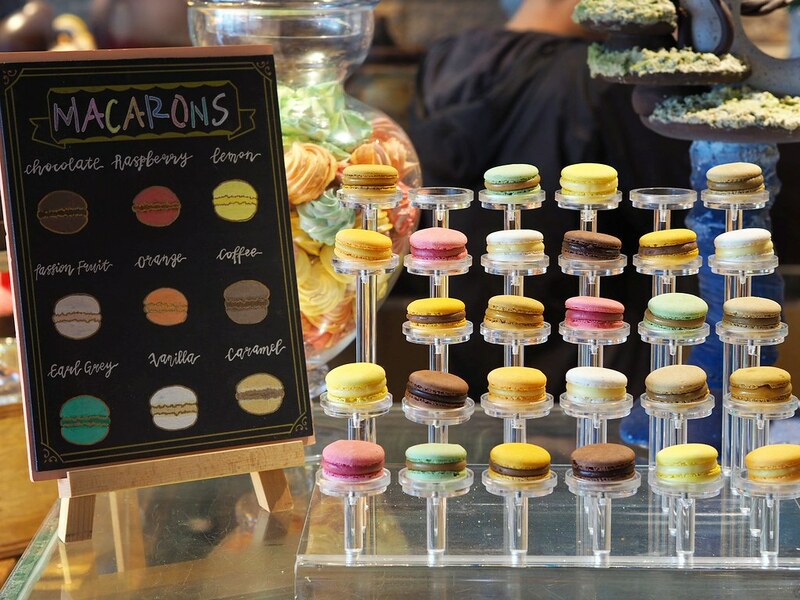 The Macarons counter presents a gorgeous colourful array of macarons with flavours such as the raspberry, passion fruit, earl grey and vanilla. The young ones will be especially pampered with the selection of Kids’ Desserts that features a Cotton Candy machine and “Pierrot Gourmand” Gummy Display. 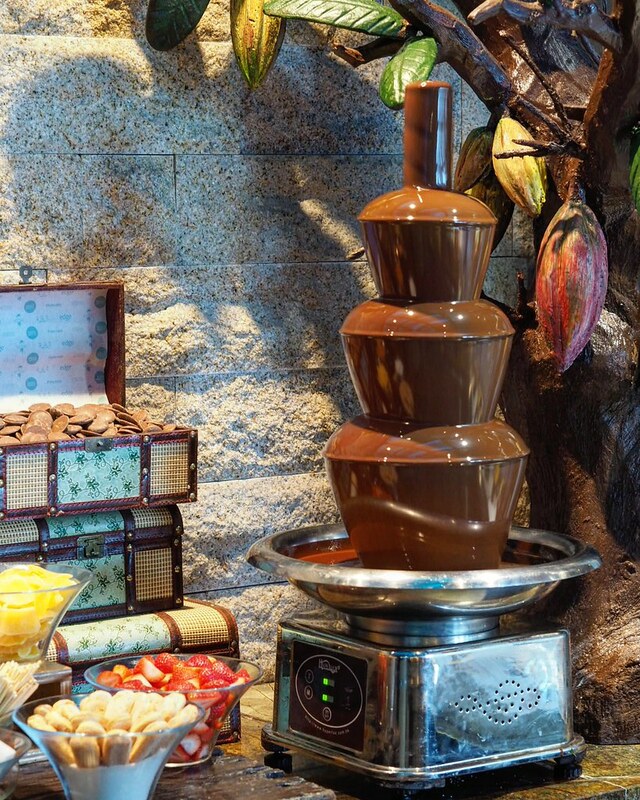 There is a spiral chocolate fountain housed in a corner, where diners can dip a variety of condiments on a stick and indulge in sweet chocolatey bliss.